Get money in a pinch and put your financial stress behind you. In today’s uncertain economy, you never know when you may run into cash shortage issues. This is especially true for single moms who need to wear many hats and juggle many things at one time. As a single mom, you are responsible for carrying all of the financial responsibilities on your shoulders. And, if there’s one emergency or a financial setback, it can create major problems that could have an impact on your family for weeks or even months. That’s why it’s important to have a financial backup plan in place before emergencies occur. Otherwise, responding to an emergency situation can prolong certain issues, which could create even more problems. For example, let’s say your engine goes out on your vehicle that you rely on to get to work and to take your children to school. If you don’t have the funds to get your vehicle repaired right away, you may compromise your ability to get to work and to get your children to school. Worse yet, if not addressed right away, it could eventually create a loss of income. As the sole provider of your household, it’s imperative to have some solutions lined up beforehand to avoid major disruptions from taking place in your life. Knowing what to do or what company to turn to that provides loans for single mothers is of great importance. If you are a single mom and have faced a financial emergency with no credit or bad credit or maybe just want to know what to do should an emergency arise, below are 10 solutions that you can consider to get access to emergency cash fast. Often times we have many things around the house that we’ve accumulated, but no longer need. Sometimes we may think we’re in need of certain items, but in reality, we don’t need them at all. In most cases, they haven’t been used in years. But these unwanted items can be gathered up and sold in a day by holding a garage sale. Depending on how quickly you need the funds, a garage sale can be organized and held on a Saturday when most working people are off work. You can sell items such as vintage dishware, sterling silverware, an old collection of albums and CDs that you no longer listen to, jewelry, clothes and shoes that you no longer wear, or books that you’ve already read. You can also sell old toys that your kids have outgrown, or printers, computers, and a host of other items that you are no longer using. When people attend a garage sale, they are usually ready to buy and typically pay with cash. Most people enjoy purchasing knick-knacks and keepsakes, especially items that are hard to find. Although a garage sale may take a bit of planning and organizing, it is a great way to get some cash into your hands in relatively short order. As an adult, no one enjoys borrowing money from family members or friends. However, since life happens, sometimes as a single parent turning to family and friends may be a good alternative solution to obtain emergency cash. Because most family members and friends have their own financial responsibilities, this option should only occur on rare occasions. Additionally, you’ll want to make sure that if you’ve borrowed from them in the past that you’ve made good on any prior outstanding financial commitments. If you have an additional hobby or skill that you’re good at, why not get paid for it? Are you good at sewing? If so, you can offer to make clothes or curtains for other family members or friends. Are you good at math? If so, then maybe you can offer bookkeeping services to your family or friends. Good at styling hair or applying makeup? These are also some skills that you can put to use to earn some extra emergency cash. Maybe there’s an upcoming wedding where styling hair and applying makeup can be done for a large group. This and similar opportunities could prove to get you out of a tight spot and a financial jam. Lastly, do you have friends and family members with busy lives or know seniors who have difficulty getting around? Then they may need some errands ran or help with chores around the house. If you have additional time or skills that you can offer others, it may be a way to bring in some extra cash to address your emergency cash needs. Making your additional skills and availability known to family members and friends in advance could help when being faced with a financial crisis. There are loans for single mothers at lending institutions such as banks or credit unions. The turnaround time for the approval process is typically between one to three business days. But because banks have made loans to customers who have defaulted on their loans in the past, they are very wary of anyone who poses a threat of being a credit risk. Hence, when borrowing emergency loans from a bank, they often require good credit and in many cases, some form of collateral. When using collateral to qualify for a loan, the bank or lending institution can claim the asset used for collateral if the loan is defaulted on and not repaid. Do you have an old car sitting around your house? If so, you can consider selling it to a junkyard. Oftentimes, they can use the parts from an old vehicle to sell to other car owners or mechanics while making additional money in the process. Other vehicle salvage companies may use the metals and scraps from for other purposes and thus are willing to offer cash for your old vehicle. Selling your old car to a salvage company typically involves a transaction that takes place in less than an hour. You’ll just need to check your local neighborhood for a vehicle salvage company near you. Similar to having a garage sale as indicated above, you can also sell items on eBay. You can sell items from around your home, or you can simply find items to sell at other garage sales or at wholesale companies. Once you’ve determined what you’d like to sell, then you can sell them on eBay for a slight profit. Keep in mind eBay has a lot of rules and regulations, policies, and procedures about selling items using their platform. This may require a bit of research on your end and some minimal lead time to get things set up properly in advance. If you have a credit card, you may be able to use the available cash balance to take out cash for your emergency financial needs. Most credit card companies allow you to take a cash advance where ever you typically make credit card purchases. There are daily limits on how much cash can be borrowed in one day, so you may want to confirm the actual amount with your credit card company. Your advance should be available as soon as you swipe your card at the ATM. There are even banks that make cash available on behalf of a wide variety of credit card companies. The repayment on a cash advance from a credit card is included with the outstanding balance; whereby the minimum payment is typically due every 30 days. If you are a single mom that happens to own a home, townhouse, or a condo, you may be able to borrow against it based on the amount of equity you have available. You can also consider refinancing your home and pulling out cash for your cash emergency needs as well. However, you must be able to repay the loan borrowed against your home as promised to avoid losing your house. Most loans borrowed against your home can be repaid within several years depending on how the loan is structured. Oftentimes, in cases where your home is being refinanced, and additional cash is pulled out, the additional funds can be repaid during the life of the home loan; this could typically be up to 30 years in some cases. Do you have a retirement plan? 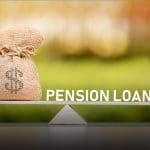 If so, you may be able to take out a personal loan against the funds in your retirement account. Many 401K plans make personal loans for a small fee. And depending on the type of loan that you take, you may not have to touch the funds in your 401K account at all. Taking out a loan for single mothers against your 401K is significantly different from receiving a distribution of funds as a result of an early withdrawal. When taking an early withdrawal from your retirement funds, it reduces the principal balance of the funds that remain in your retirement account. Whereas when taking out a personal loan against your retirement funds, you are basically borrowing money against yourself. What that means is that your retirement funds become the collateral against the loan. When taking out a loan against your retirement funds, you typically have between one to three years to repay the loan (and sometimes longer depending on the financial institution that is providing the loan). The thing to keep in mind is that if the loan defaults, your retirement funds being used as collateral will be used to repay the loan. This will result in early withdrawal taxes, fees, and penalties. 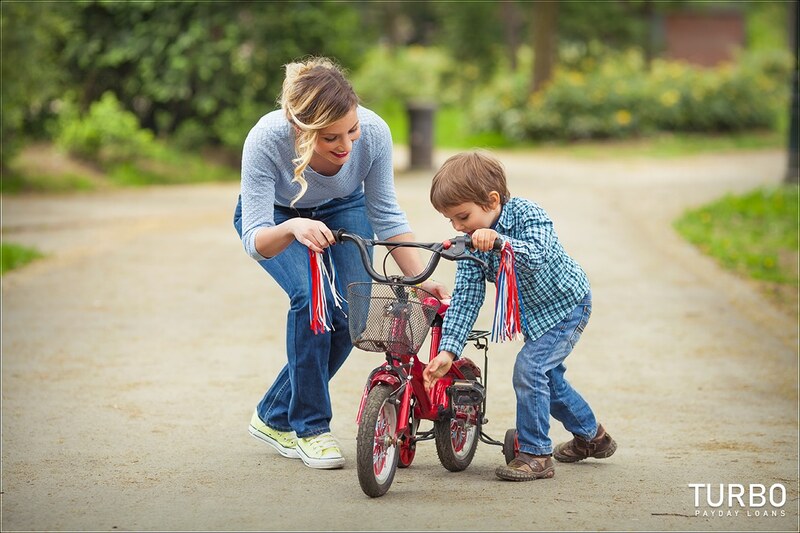 A payday loan is another great option for short-term loans for single mothers. Not only is it fast and convenient, but it’s also very confidential. It can be used for general or urgent cash needs and can be repaid directly from your bank account on your next payday. To qualify for a payday loan, you may need to receive your paycheck in the form of a direct deposit. Depending on the lender, the payday loan can be deposited directly into your bank account, or it can be paid in the form of a check or paid in cash. One of the great things about payday loans is that many find them available whenever they run into a financial crisis. All they have to do is repay any outstanding balances on time, as promised. They then qualify for a new loan. 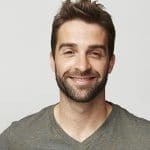 Once you receive a payday loan, you will be amazed at how convenient it is to process, which, in almost all cases takes place very quickly – and even faster after the initial one-time setup has taken place. Payday loans are typically due in full on your next scheduled payday. 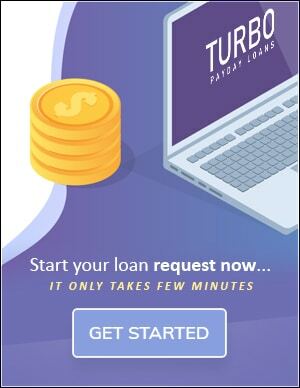 In other words, if you borrow $500 from a payday loan company today, $500 will be automatically deducted from your bank account on your next payday. In many cases, payday loans are regulated by the state in which they are issued. Payday loan companies have been providing short-term emergency cash solutions to people – including single moms – for many years. To conclude, we understand how difficult it is to be a single mom. If you are in need of emergency cash for single mothers, as indicated above, there are many options to choose from. Hopefully, you will consider an option that allows you to have a reliable source of emergency funds whenever you need it. This includes getting a loan for single moms from a payday loan company. They have been established to provide solutions to single moms with short-term emergency cash needs.